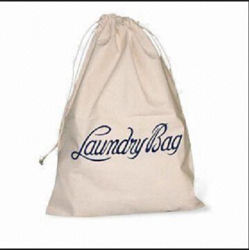 Our range of products include laundry bag. Our product range is inclusive of highly qualitative Laundry Bags. These bags are manufactured in accordance to industry-specified quality norms by using raw materials of the best quality. These bags are used to store clothes that are supposed to be given to the laundry for washing and cleaning. These bags are foldable and can be easily folded when not in use. Being light in weight these can also be carried around with utmost ease.